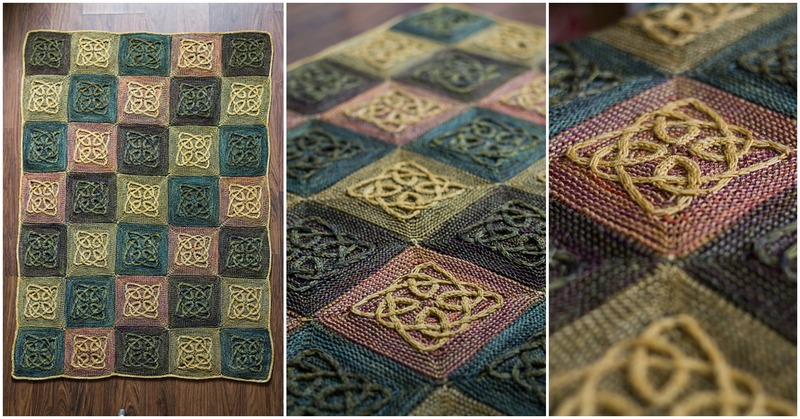 Today you have chance to purchase pattern for beautiful and very attractive Iona pattern. It’s not very cheap if you like the design. author is Lucy Hague. For Knitting you need US 4-3.5 mm Needles and yarn 1792 yard. It will make your bedroom or living room more cozy and elegant. Just choose colors and start knitting now this beautiful blanket. It’s very enjoyable to knit and with results you will be excited.